This course is designed to provide the clinician with the ability to identify the need for site development for optimum anatomic implant placement. Lecture material will cover patient examination, treatment planning — both surgical and prosthetic — as well as tissue and bone management. Restoration of anatomic integrity for implant placement will be practiced on both models and fresh frozen cadaver specimens. Dr. McGarry received his D.D.S. degree in 1975 from the University of Missouri at Kansas City, his Certificate of Prosthodontics in 1978 from UCSF/VA San Francisco, and became a Diplomate of the American Board of Prosthodontics in 1991. He is a fellow in the American College of Prosthodontists and has served as President of the College. He is a member of the ADA, Academy of Osseointegration, American Academy of Fixed Prosthodontics, Academy of Prosthodontics, Greater New York Academy of Prosthodontics and the American College of Dentists. Dr. McGarry maintains a full-time private practice limited to Prosthodontics. Dr. Brousell is a graduate of Temple University School of Dentistry. His graduate training in Oral and Maxillofacial Surgery is from Roosevelt Hospital in New York. He is a Fellow of the International Congress of Oral Implantologists, a Member of The Academy of Osseointegration and a Fellow of the American Association of Oral and Maxillofacial Surgeons. He has lectured internationally on dental implants and bone grafting techniques. Dr. Brousell maintains a private practice in New Jersey limited to Oral and Maxillofacial Surgery. Dr. Bouma completed his D.D.S. (1994) at Baylor and after a GPR at the VA/Little Rock, AR, he served in the USAF as a general dentist. He received his Certificate in Prosthodontics and a Master of Science degree from the University of Texas/San Antonio and became a diplomate of the American Board of Prosthodontics in 2002. Dr. Bouma served as Chief of Prosthodontics, Dental Laboratory Flight Commander and Assistant Director for the AEGD Residency while stationed at Offutt Air Force Base in Omaha, NE. 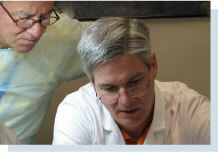 Dr. Bouma maintains a full-time private practice limited to Prosthodontics. Please make your reservations directly with the hotel. * Request the McGarry Implant Institute rate! Cancellation Policy: Confirmed registrants unable to attend may obtain a refund (less a $100 admin fee) by notifying McGarry Implant Institute no later than 4 weeks prior to the course start date. Cancellations from 2-4 weeks prior will be refunded 50% of the full course fee. Cancellations of less than 2 weeks and “no shows” will be eligible for no refund. The McGarry Implant Institute reserves the right to cancel a course with the full fee refunded. McGarry Implant Institute will not be responsible for expenses incurred by the registrant. Accreditation: The McGarry Implant Institute is an ADA CERP recognized provider. Participants: Continuing education credits issued for participation in the CE activity may not apply toward license renewal in all states. It is the responsibility of each participant to verify the requirements of his/her licensing boards. 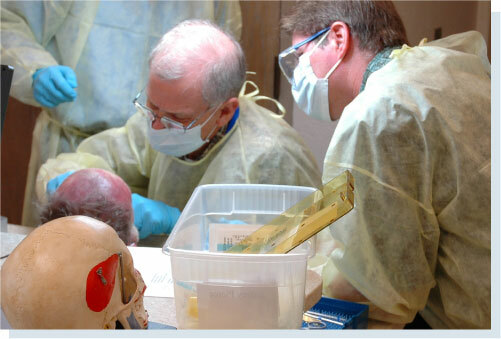 This entry was posted by Dental Continuing Education on September 1, 2010 at 12:15 pm under Sinus Grafting. You can leave a response, or trackback from your own site. Follow any responses to this entry through the RSS 2.0 feed.